Jul - 22 | By: Oregon Film | no comments. Actor Sasha Roiz (Captain Sean Renard, “Grimm”) has held an interest in helping patients at Doernbecher Children’s Hospital for several years since coming to Portland to shoot the NBC Universal series. 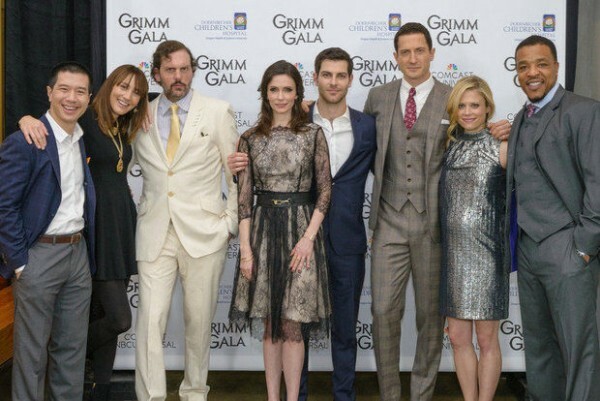 Earlier this year Roiz put together the “Grimm Gives Back” fundraiser, that incredibly, raised $310,000 that was then donated to the “Grimmster Endowment Fund”. (Many items from the show were auctioned off, including a walk on role on the show). Roiz has now been appointed to the Doernbecher Children’s Hospital Foundation board of directors, and is one of 5 new board members. For more information read here. The Doernbecher Children’s Hospital Foundation is a 501(c)(3) organization that exists to secure private philanthropic support for Doernbecher Children’s Hospital. The foundation raises funds from individuals, companies, foundations and organizations, and invests and manages gifts in accordance with donors’ wishes.